On the 23rd of July 2016, a rainy afternoon at the Teslim Balogun Stadium in Lagos, Nigerian players clad in white shirts lay scattered on the pitch in dejection after the final whistle, the reality dawned, Nigeria won’t be going to the CAF U20 AFCON in Zambia and Ultimately miss out on the 2017 FIFA U20 World Cup in South Korea. Not only was the reality of missing out on the U20 World Cup painful, but more painful was the nature and circumstances which surrounded the Flying Eagles implosion to Sudan in Lagos. After a 2-1 lead from the first leg of the final qualifying round in Sudan, the Eagles capitulated and lost 3-4 in Lagos thus allowing the Sudanese to progress to the 2017 U20 AFCON in Zambia on goals difference after a 5-5 aggregate scoreline. It was a stunning shock as the 7-time CAF U20 Champions which was made up of majorly players from the all-conquering FIFA U17 World Cup team in Chile 2015 failed to go past an unfancied Sudanese team who later on went to finish bottom of their CAF U20 AFCON group with a point and 3goals scored, 8 conceded, to sum up how poor the Sudanese team was. To put things into perspective, not that the team lacked quality as the team included the likes of Villarreal fast rising winger Samuel Chukwueze, Bologna’s Orji Okonkwo, Victor Oshimen, Kelechi Nwakali and coached by Emmanuel Amuneke just to mention a few, but the in-house issues in the Nigeria Football Federation (NFF) came to the fore as reports came in that the team had earlier planned to go on a training strike just 24 hours before the game due to lack of match bonuses and poor preparations. Nevertheless, while some have questioned the ambitions and dedication of such young players for protesting the lack of match bonuses when career-growth should have been Paramount, the deed had been already been done and it rounded a poor 2016 where Nigeria missed out on both the CAF U17 and CAF U20 AFCON as well as the FIFA U20 & FIFA U17 World Cup, failing to defend the latter having won a record 5th FIFA U17 title in Chile a year before. 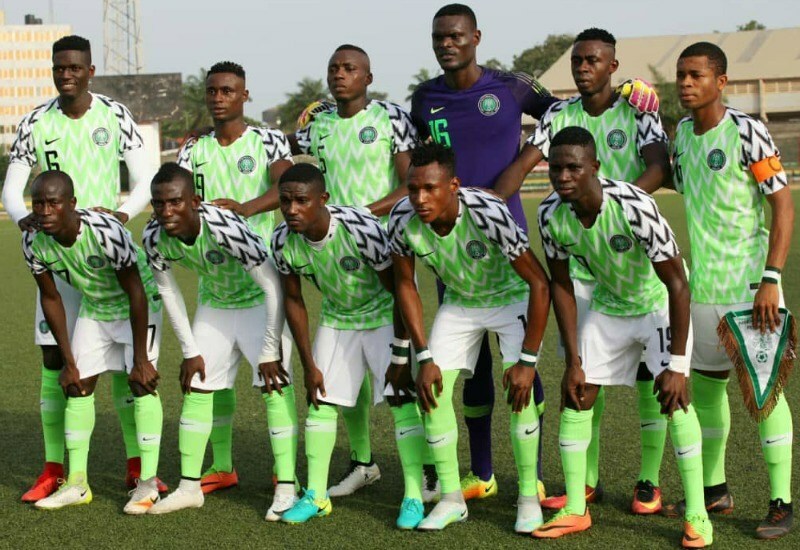 Fortunately, on the 2nd of February 2019, the Flying Eagles kick start their U20 AFCON redemption campaign with a 2-0 win over Burundi courtesy of Yahaya Nazifi and Maxwell Effiom goals. Its a pride as the CAF U20 AFCON starts with a comfortable win, with the team led by Paul Aigbogun, starts it’s a journey to win the 8th title and the first since the team’s triumph at the 2015 U20 Afcon in Senegal. The journey won’t be straight forward with the Flying Eagles facing South Africa on Tuesday at the Stade General Seyni Kountche, Niamey and the hosts Niger Republic on Friday, February 8 – where only four world cup tickets are available but the target is pretty simple and clear; a semi-final finish will be enough to see Nigeria through to the Finals in Poland later on in the year as only the competition’s top 4 teams will qualify for the FIFA U20 world cup in Poland. Whether or not the team makes the Final coming up on the 17th of the February, it is left to be seen as Senegal, Ghana, Burkina Faso and Mali lurk around the Semi-finals but success for the Flying is non-negotiable. Forwards: Adamu Alhassan (Kano Pillars); Yahaya Nazifi (Sonderjyske FC, Denmark); Ibrahim Aliyu (Oasis FC); Adeshina Gata (Wikki Tourists); Ibrahim Abubakar (Plateau United); Onyekachi Paschal (Vaxjo United, Sweden); Maxwell Effiom (Enyimba FC).